JustClick.pk, originating from Dubai, is the first and biggest Online Shopping Store in Pakistan dedicated to flash sales and providing Imported Items. 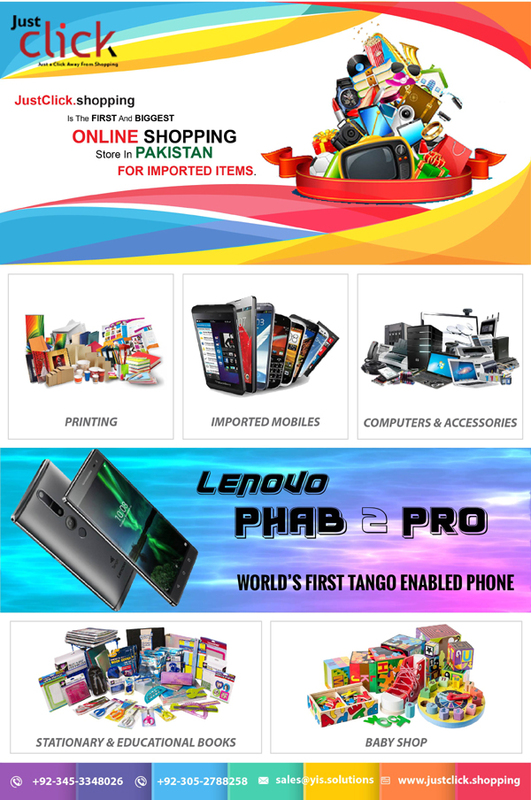 As a bridge between Pakistan and International Market, JustClick.shopping brings the best products into Pakistan from both the local and international markets. With us experience the liveliest and easiest online shopping experience in the most hassle-free way in Pakistan. Our in-house support team will be available for you 24 hours a day , 7 days a week. Our promise to you is that you will experience an unrivalled excellent service that, we hope, will ensure you come back time after time.